School teachers in the area Coweta-Fayette EMC serves. Projects must benefit students in grades Pre K-12. Teachers may only be an applicant of one project per school year. Projects can be funded up to $1,500 or they may be partially funded. The maximum grant amount is $1,500. Applicant will submit a report about the grant. Applicant grants sponsors the right to use their name, photo and information about grant in publicity. All applications must be completed online and received at Coweta-Fayette EMC by the deadline: August 2019. The Coweta-Fayette Trust, Inc. and Coweta-Fayette EMC sponsor Bright Ideas. The Trust administers Operation Round-Up, a program in which the cooperative’s members volunteer to “round up” their power bills to the nearest whole dollar. The change goes directly to the Coweta-Fayette Trust, Inc., a non-profit organization dedicated to making life better for our community. Coweta-Fayette EMC, a member of Touchstone Energy, is a not-for-profit, consumer-owned power cooperative providing electricity to more than 65,000 members in Fayette, Coweta, Clayton, South Fulton, Spalding, Troup, Heard and Meriwether counties. 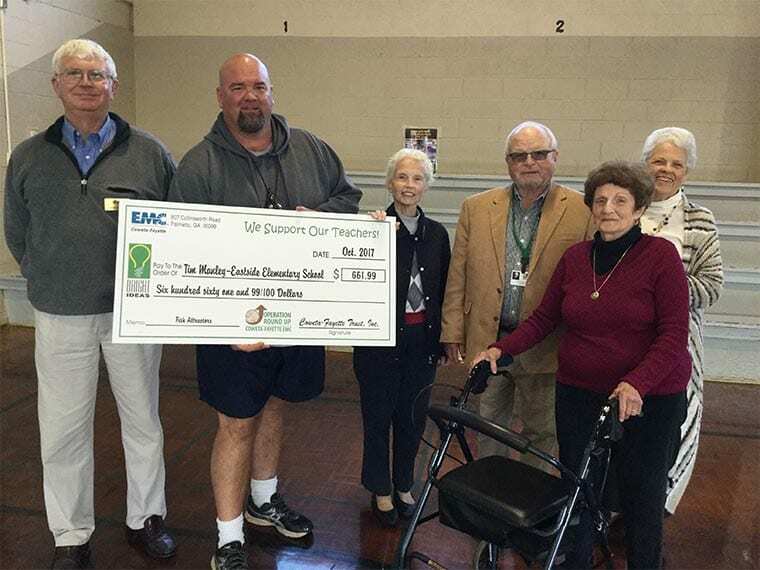 All grants will be used in the areas Coweta-Fayette EMC serves. APPLICATIONS WILL NOT BE CONSIDERED IF INSTRUCTIONS ARE NOT FOLLOWED COMPLETELY. Do not include any identifying information such as school mascot, your name, the name of your county or school in Sections I, II, or III of the online form. Applicants must adhere to word limits. Do not attach any supplementary materials. Grants are for up to $1,500 and should be used within 18 months of awarding. 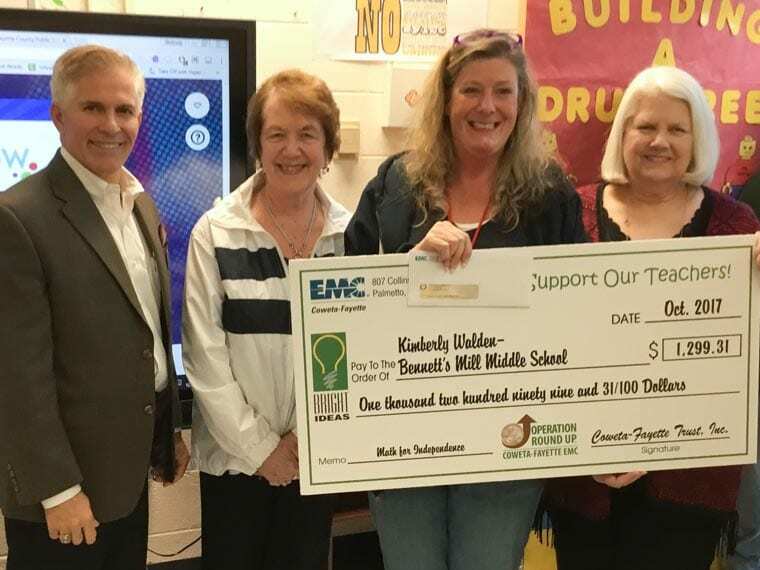 Grants will be awarded to teachers teaching students in the areas Coweta-Fayette EMC serves in Fayette, Coweta, Clayton, South Fulton, Spalding, Troup, Heard and Meriwether counties. Grants are for classroom projects, not professional development. All grant recipients are required to submit a report on the outcome of their project. Applicants agree that their name, photo and project may be used in print, broadcast and other forms of media in publications or publicity or Coweta-Fayette Trust, Inc.
All applications must be received at Coweta-Fayette EMC by August 2019. If you have additional questions, please call Marsha McDaniel at 770-252-7406. You may also Email Marsha.